There’s something about a harrowing ‘true story’ that sells. Over the past fifteen or so years, namely after the events of 9/11 shook the world, we’ve seen a surge of real-life stories that celebrate human courage, compassion and our unwavering desire to survive. We’ve seen flicks like Paul Greengrass’ United 93 (2006), which focused on the aforementioned terrorist attack, along with Peter Berg’s underrated Patriots Day (2016), based on the 2013 Boston Marathon bombings, and Clint Eastwood’s The 15:17 to Paris (2018). 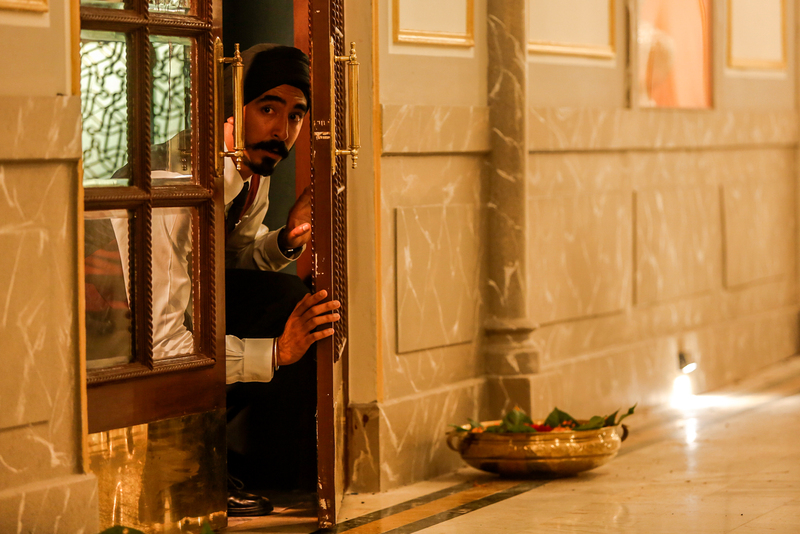 The latest of these nerve-racking true stories is Hotel Mumbai, a tension-fueled recreation of the horrific events that took place in Mumbai in 2008, where ten members of an Islamic terrorist organization from Pakistan (called Lashkar-e-Taiba) carried out a series of twelve coordinated attacks across the commercial capital of India, which lasted three days (November 26th to 29). 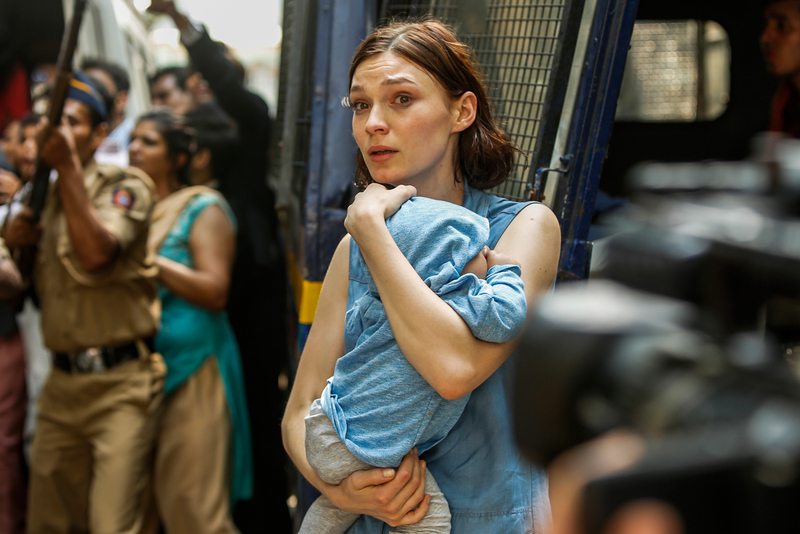 Inspired by the 2009 documentary Surviving Mumbai, the film mainly hones in on the siege at the luxurious five-star Taj Mahal Palace Hotel, or The Taj as it’s better known. 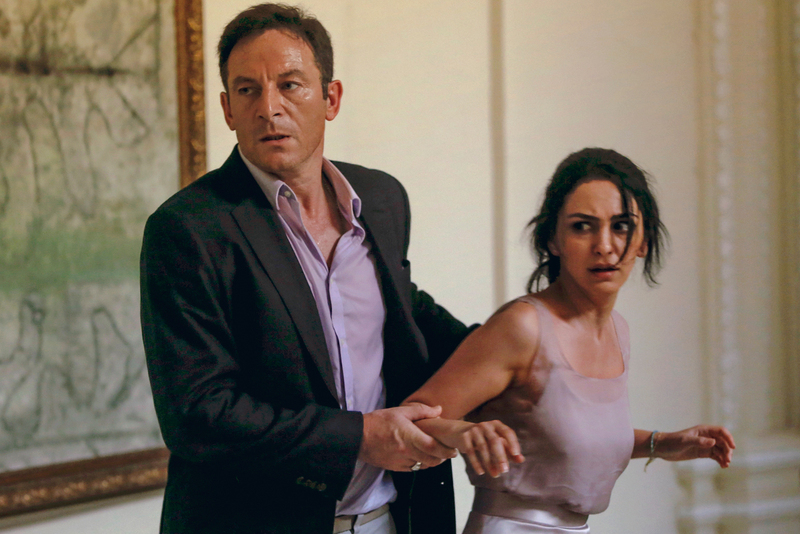 Mind you, this isn’t the first time that the Mumbai attacks have been tackled in cinema, with a little known French-Belgian drama-thriller titled Taj Mahal (2015) — centering on a French tourist/ teenager (Stacy Martin) who is stuck in one of the rooms when the building is hit — and a 2013 Bollywood crime flick called The Attacks of 26/11. … don’t make a peep. 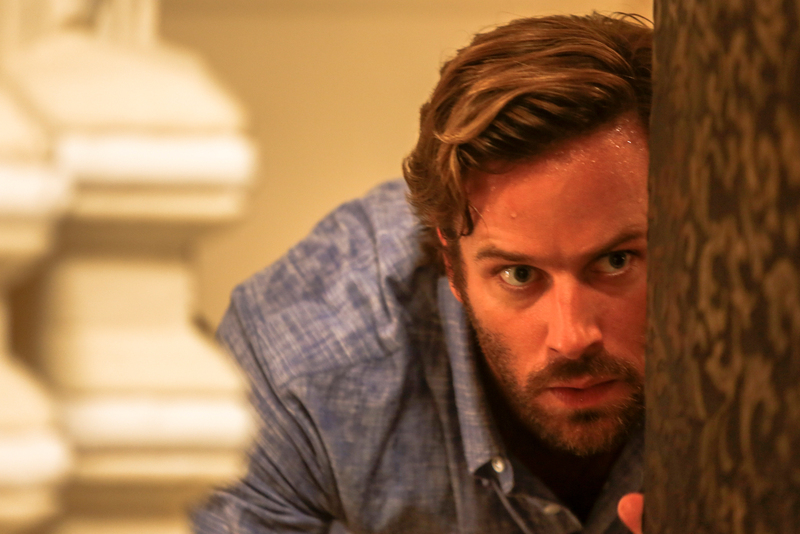 Hotel Mumbai opens with the young terrorists, who are traveling via a hijacked fishing vessel, armed with weapons and explosives, and taking orders from an unknown man by telephone known as ‘Brother Bull’ (Pawan Singh). Within minutes of entering the city, they’re relentlessly shooting the place up, the jihadists starting at the Chhatrapati Shivaji Maharaj Terminus, a busy train station jam-packed with innocent civilians, before moving to the Café Leopold, where a couple of Aussie backpackers (Angus McLaren and Natasha Liu Bordizzo) sorting out their bill get caught up in the bloody barrage. Meanwhile at the Taj Mahal Hotel, where ‘The Guest is God,’ Arjun (Dev Patel) — an impoverished waiter who lives in a local village — is having a pretty crummy day, his sick baby making him late to his shift, and the ‘mad rush’ causing him to arrive without the proper footwear. This, of course, doesn’t go down well with his boss, world-class chef Hemant Oberoi (Anupam Kher), who shows Arjun some sympathy by allowing him to grab some spare shoes that are lying around. Unaware of the carnage that’s about to ensue, the evening’s VIP guests begin to roll in, including American architect David (Armie Hammer), his Middle Eastern wife Zahra (Nazanin Boniadi), and their nanny Sally (Tilda Cobham-Hervey), who takes their newborn son to their suite upstairs while the couple dine at a restaurant below. The other high roller we meet is a businessman named Vasili (Jason Isaacs), a shady Russian with a penchant for whiskey and women. Stay out of harm’s way. Things take a fatal turn when the hotel opens its doors to allow those who’d been attacked inside to take refuge, this act of goodwill unknowingly letting a number of the terrorists in, too. Within seconds, the radicals begin firing their weapons, mowing down whomever they see, turning The Taj’s once-tranquil space into an all-out war zone. Now, as the gunmen move through the hotel’s many floors (shooting ‘infidels’ like animals), and with help some 800 miles away (due to the country’s trained forces being all the way up in New Delhi), those left alive must band together in order to survive, searching for a way out of their hellish situation. Making his directorial debut is Greek-Australian filmmaker Anthony Maras, who’s penned the screenplay with co-writer John Collee, Master and Commander: The Far Side of the World (2003), the pair interviewing numerous survivors of the three-day ordeal, as well as police and bystanders, having also sifted through dozens of firsthand sources (including transcripts of the calls that took place between the radicals). As a result, Hotel Mumbai comes off as an unflinching, sometimes uncomfortable fly-on-the-wall account of the horrors that took place in 2008, working as a reminder that these types of incidents can still happen anywhere and at any time. The violence is graphic, hard-hitting and very unsettling, with the audience forced to endure merciless acts as they occur, making this one of the most difficult flicks you’ll sit through all year. But perhaps this is intentional. You see, Maras is also careful not to depict the terrorists as your stereotypical Hollywood-type extremists. Instead, these men are shown to be smart young guys who’ve been used, manipulated and brainwashed by their faith and lack of wealth (there’s a part where one of the terrorists is seen calling his family, asking whether the cash he’s been promised has been transferred into his account); other scenes aim to humanize the radicals, too, such as a bit where one of the Islamists is tricked into thinking he’s eaten pork, which goes against their belief system. We also get subplots concerning the guests and the workers trapped within the building, some of whom decide to remain inside to help both friends and strangers out, even after they’re offered a chance to escape (the film doesn’t look down on those who decide to ditch their post either), these folk putting themselves on the line for others — a real sacrifice, if you ask me. Performances are decent all round with Dev Patel, Lion (2016), anchoring the film with a strong, empathetic turn as kitchen worker Arjun, a struggling family man torn between protecting the hotel’s guests and returning home to his wife and child. Armie Hammer, The Man from U.N.C.L.E. (2015), is good (albeit a little flat) as your traditional ‘white hero,’ even if Maras goes out of his way not to create an action-star out of any of these people — they’re all just portrayed as normal men and women doing their bit to help one another. Tilda Cobham-Hervey is also solid as Hammer’s nanny Sally, whose naturalistic performance had me gasping for air in one of the film’s signature scenes, with Sally forced to hide inside a wardrobe with the restless baby she nannies when the gunmen infiltrate her room. The weakest link in the chain is Jason Isaacs, The Patriot (2000), who does the best he can as an unpleasant one-note Russian cooped up in The Taj during the shocking siege. Mostly shot in Adelaide, Australia, Hotel Mumbai is beautifully lensed by cinematographer Nick Remy Matthews — who worked with Maras on the 2011 short The Palace — and comes off as quite realistic, thanks to some grandiloquent sets and authentic production design by Steven Jones-Evans, Knowing (2009) — as a Australian production, it looks and feels very ‘Hollywood.’ Yet the whole thing is still hard to pass off as ‘entertainment.’ Sure, I understand that films like this (which recreate dark moments in history) exist to put viewers directly in the hot seat, giving us a hint of the real horrors (and the callous reality of terrorism) that took place, and what it must’ve been like for those brave souls affected and impacted by the attacks. But after two-plus hours of being bombarded by relentlessly unpleasant stuff, I, just like the hostages, was ready to escape from the all grimness on display — I dunno, for me it was all just a little too much.